On behalf of those that tend to overpack or those that are just sooo over packing, we’ve made it easy to keep your carry-on organized (and not bursting at the seams). 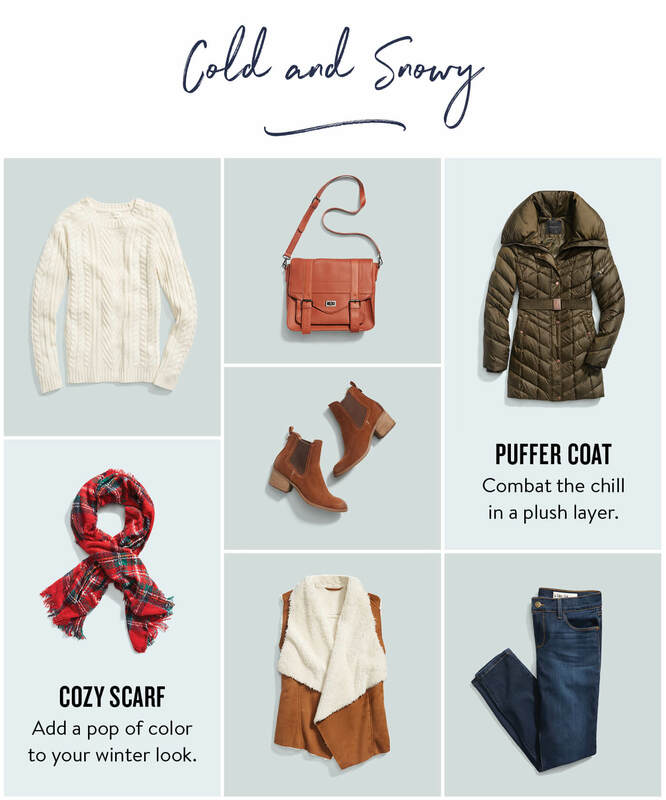 These mix and match outfits and styling tips are perfect for any weather you could be facing at your final destination. 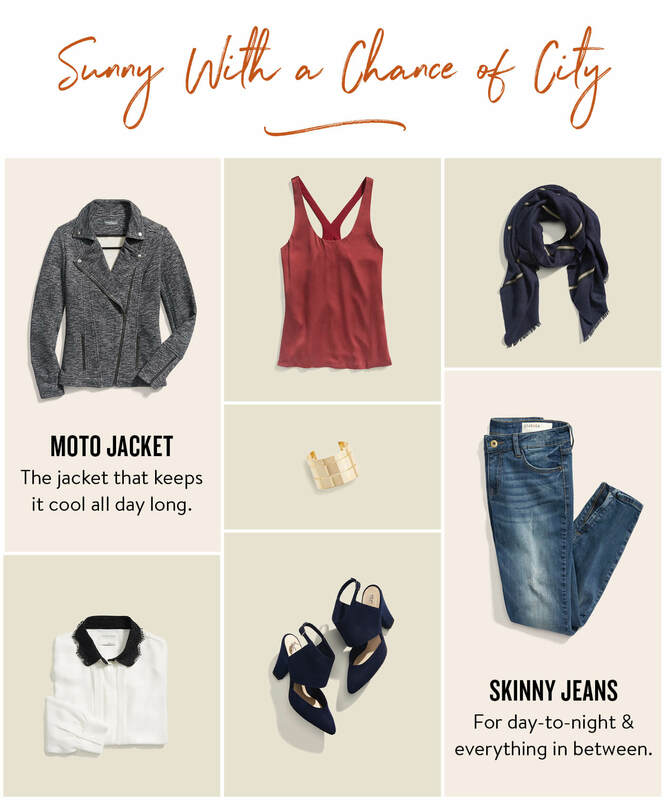 Here’s what to pack for your upcoming weekend getaway! Make a splash even on rainy days. It’s all about preparation when trying to dress up during a downpour. Don’t be afraid of elevated, everyday essentials that pull double duty: boots that happen to be waterproof, leggings that dry quickly, and standout separates that can be paired with breathable base layers. Trade winter blues for blue skies. Throw on a structured moto jacket and hit the streets in total comfort and sophistication. Start the day in a sleeveless shirt with a pop of color that can be worn alone and underneath a classic, button-up blouse. Then punch up your look in a pinch by swapping a scarf for a shiny metal cuff. Baby, when it’s cold outside, trudge through the snow in style. The key to staying warm without looking bulky: combining different textures like denim, knit, suede, and wool for a luxe look of endless possibilities. 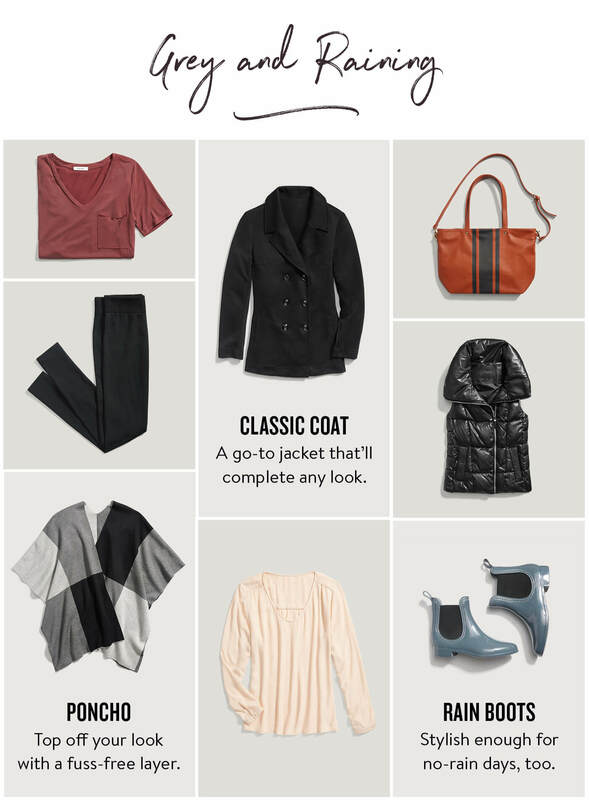 Add an extra layer of warmth with a belted puffer coat that gives your body some shape. If you’re taking to the air, find out what we think you should wear on a plane. Love what you see? 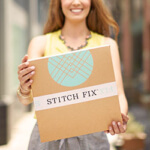 Schedule a Fix and ask your Stylist to send you easy travel wear!